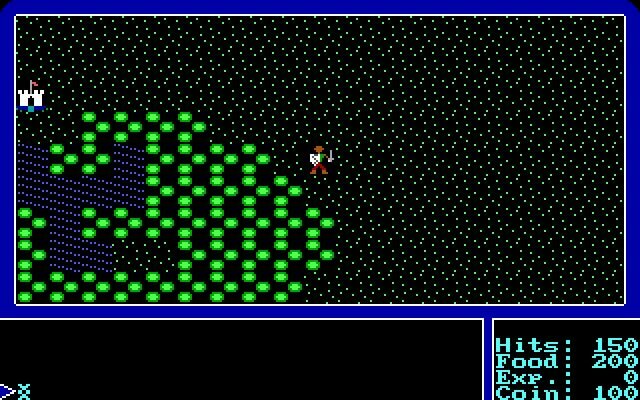 This is the first of the very popular RPG saga Ultima. 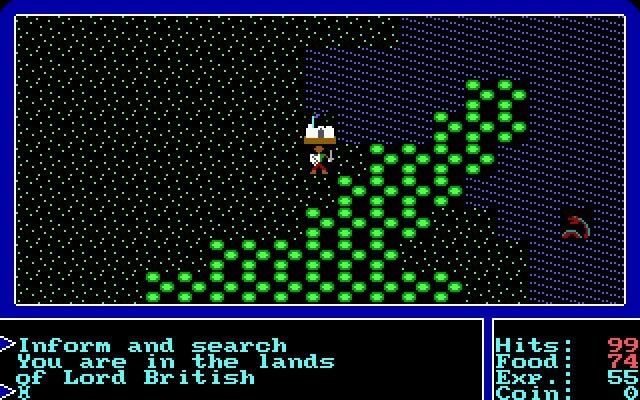 The setting is the land of Sosaria, the enemy to defeat is Mondain. 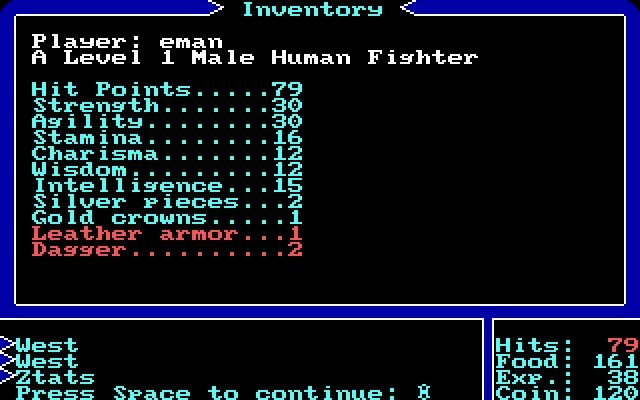 It's a classic cRPG. 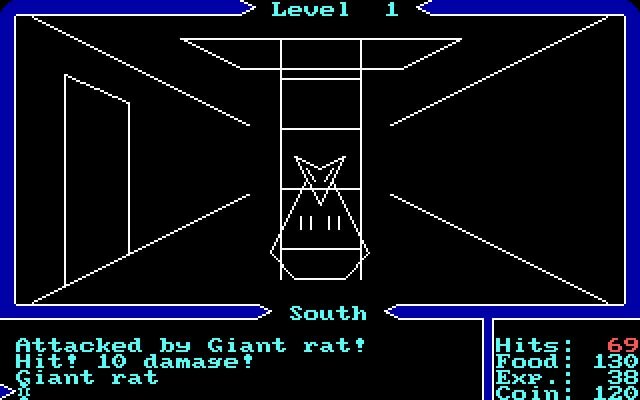 The wilderness and cities are represented from a top down perspective, while dungeons can be explored in a first person 3d view. 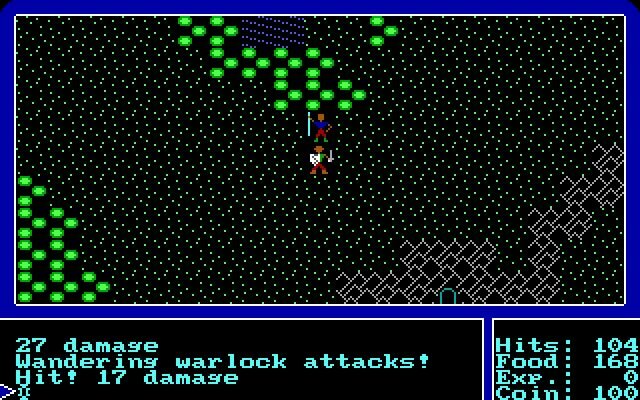 Tell others what you think about Ultima 1: The First Age of Darkness: did you play it? Did you like it or hate it? 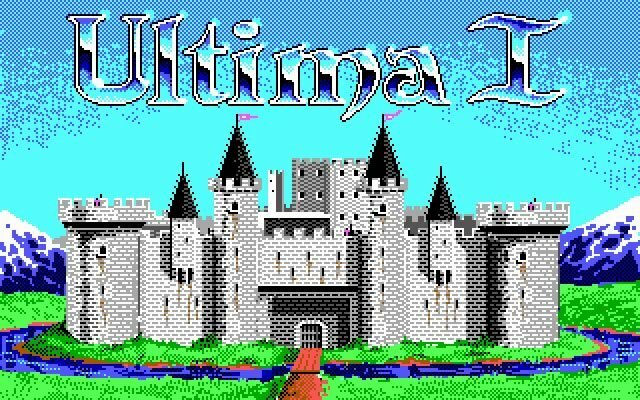 If you have problems running Ultima 1: The First Age of Darkness, please read the F.A.Q. first. Your e-mail will NEVER be used for spam. 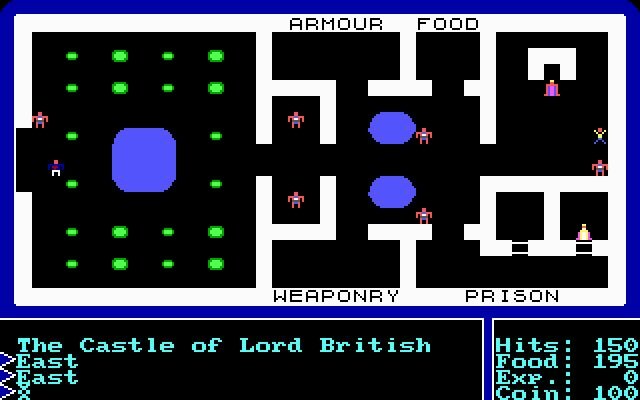 The original version of Ultima I for the Apple II did not have a box, maps or coins.